Ensuring fair access to essential public services within healthcare, local government and in the justice system is at risk for people who do not speak English and depend on interpreters and translators, according to a new report from the Association of Translation Companies (ATC) and launched today at its annual conference held at Manchester United’s stadium. The report, based on research with ATC members supplying the public sector with language services, found that the procurement process is causing areas of strain in the efficient provision of those services. The report also follows a recent consultation from Crown Commercial Services (CCS), which is pushing through a new framework that, if enforced, will cut off the ability of many language service providers to operate in the public sector. 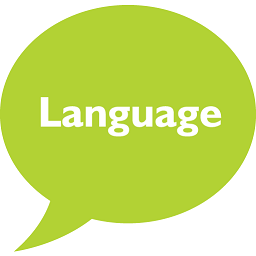 The use of language services plays an essential role in the functioning of public services and any failure in provision leads to lengthy and expensive delays. A key example would be the ability of the courts system to function. In the event that victims, witnesses or those being prosecuted do not have an interpreter to understand what they are being asked, then proceedings will be adjourned, leading to huge cost escalations. Similarly, medical appointments are often missed or need to be rescheduled because of breakdowns in communication between doctor and patient. “The UK encompasses a broad demographic of people and languages and because of this, language can be a divisive issue. However, not getting languages right leads to inaccurate communication and social exclusion, so the provision of language services is an area of concern that the government must seek to address.